Spring sports are in full swing. Our weeks and weekends are now filled with tumbling, soccer, dance classes and practice, practice, practice! Our kids drink water the majority of the time, but they are always asking for something else to quench their thirsts after an hour of running, flipping, kicking and spinning. 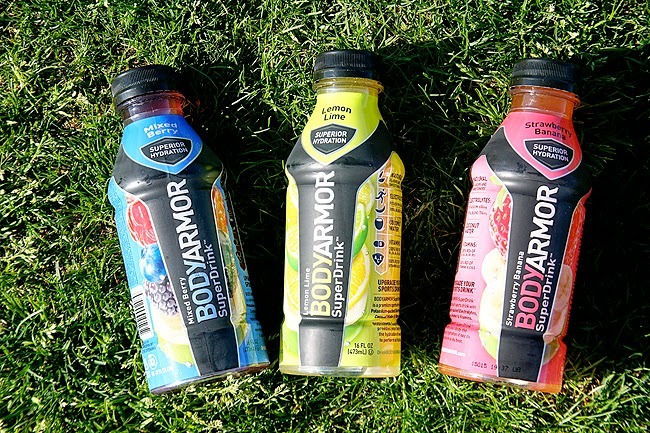 A few weeks ago we were given the opportunity to try BODYARMOR, a new premium sports drink that we are all now raving about! With sports drinks continuously being placed on the "do not drink" list because of their high sugar and additive content, it was so nice to find an electrolyte replacement drink that was actually good for you. 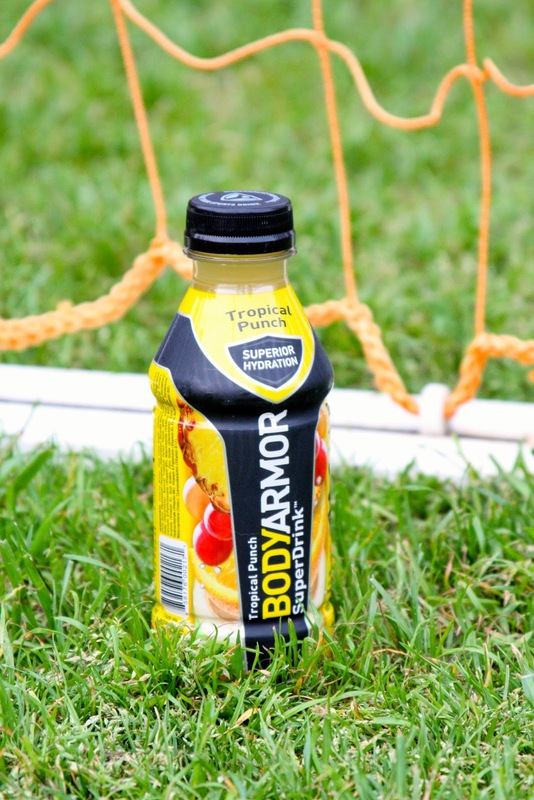 BODYARMOR is made with coconut water and it is packed with electrolytes and vitamins and the best part that we love is that it contains NOTHING ARTIFICIAL!!! No artificial sweeteners, flavors or colors. That makes it a great choice for young athletes that don't need all of the extra sodium and artificial ingredients found in other sports drinks on the market. 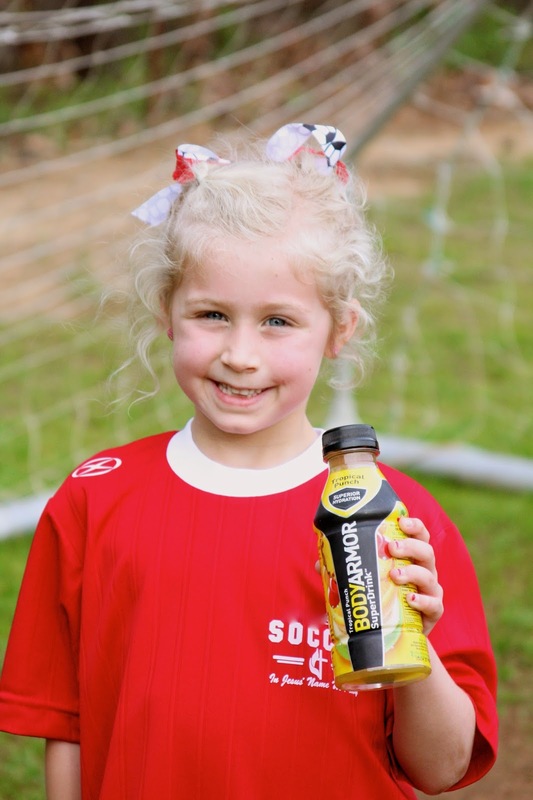 After watching Blondie and Cute running around for a solid hour on the soccer fields, we feel good about giving them BODYARMOR to help them feel refreshed and refueled. All of the flavors are delicious (there are seven in total) so there is definitely something to fit everyone's tastes. The favorite that we seemed to fight over was strawberry banana and tropical punch, but seriously they were all yummy and not just for the kids. The adults were loving them, too! 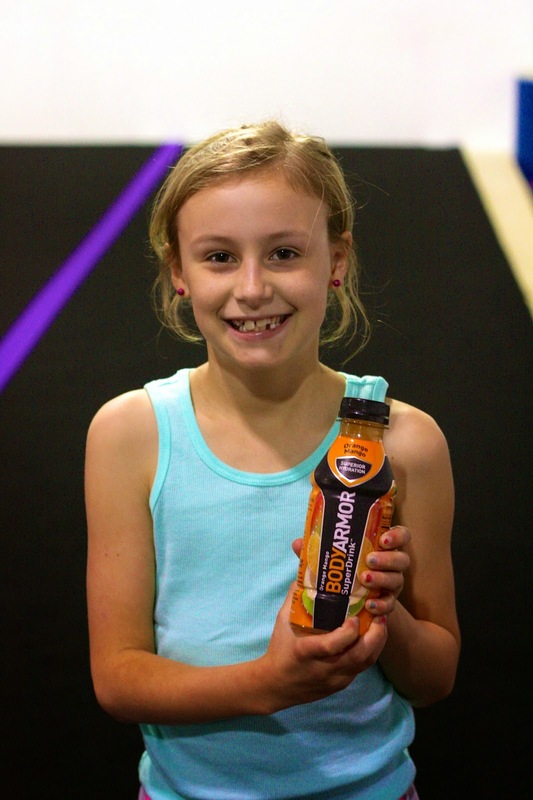 In fact, one day at tumbling and again at soccer, we had multiple coaches asking us about BODYARMOR and after they had a try they were all wanting to know where they could get some of their own. 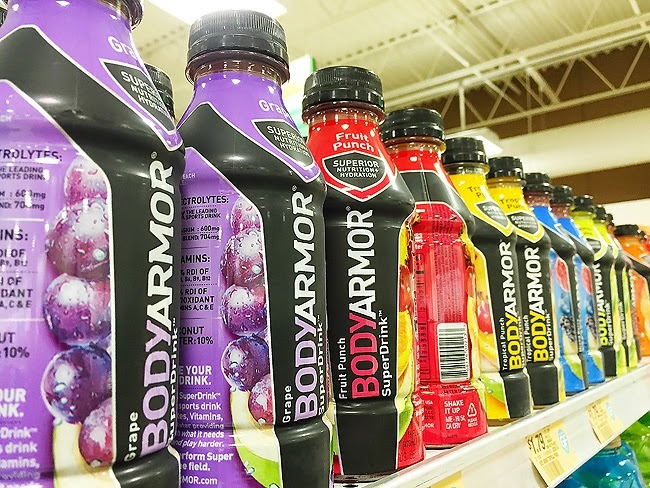 If you are a local reader, you can find BODYARMOR at Target or Publix (two of our favorites). In fact, just the other day we spotted it at Publix! You just have to look up and there it will be! But, don't worry because if you live outside of the Atlanta area, there are 10 other major cities where you can find BODYARMOR. Email us or leave a comment and we can let you know a retailer near you that carries the drink. And, y'all are in luck because BODYARMOR sent us a coupon to share with our readers. Click HERE for a downloadable coupon and go grab some of your own! 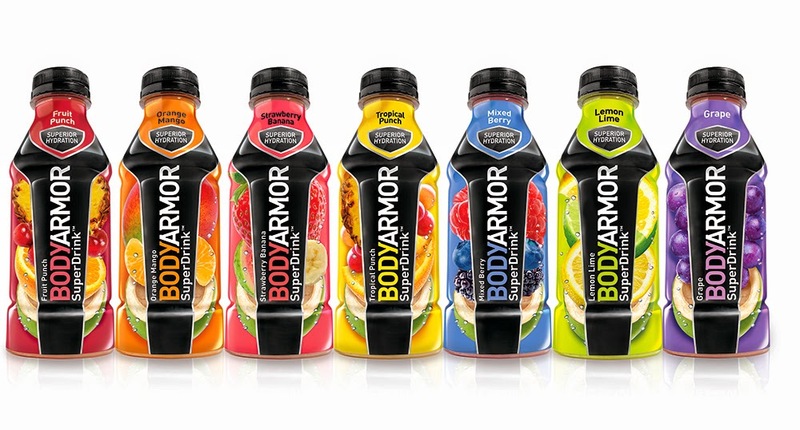 To learn more about BODYARMOR click HERE.